The concept of Te Whare Pora embodies the idea of a house of learning and is customarily a space for obtaining knowledge pertaining to fibre arts, primarily weaving. The atua of Te Whare Pora is Hineteiwaiwa who holds authority over the arts pursued by women. 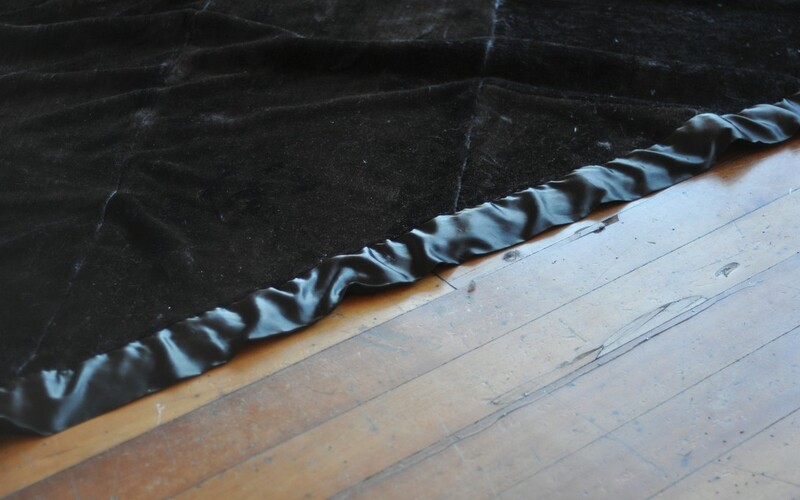 Over their residency, the artists are interested in engaging with Te Whare Pora from a contemporary perspective and will be using new media to signify its importance within the 21st Century, creating work by extracting and distilling signifiers of the wharenui experience. 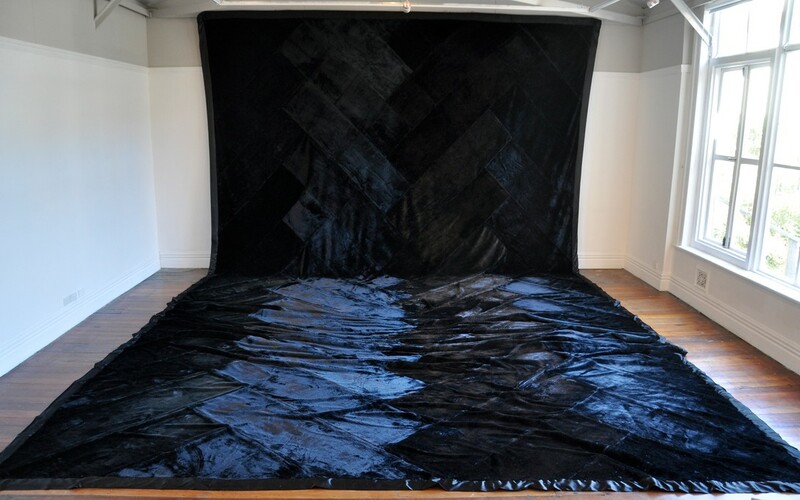 In particular, the artists make use of the mink blanket as a vehicle for exploration of contemporary marae styles and wharenui experiences. A popular presence throughout marae across the country, the 'minkie' has come to represent warm, plush beds within the wharenui. These blankets also act as a commentary of the current day economy; they are manufactured off-shore using synthetic materials and cater to specific markets by using identifiable kowhaiwhai patterns and the tino rangatiratanga flag. 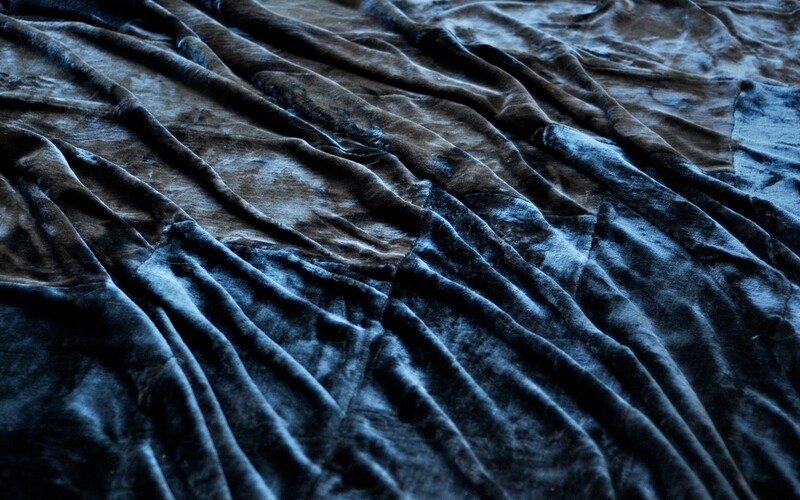 The artists will reconstitute the mink blankets through a deconstruction method that enables a repositioning through sewing and embroidery. 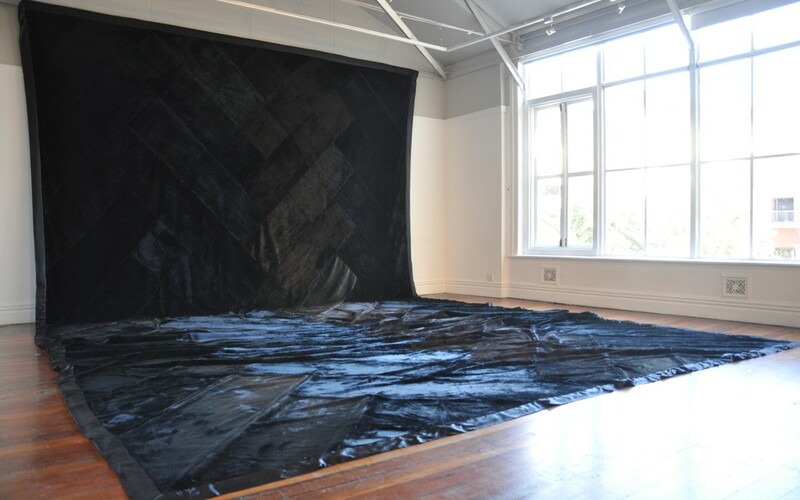 The installation of this work will reflect the tactile, feminine qualities of both the materials and the artists, paying homage to Hineteiwaiwa and Te Whare Pora. 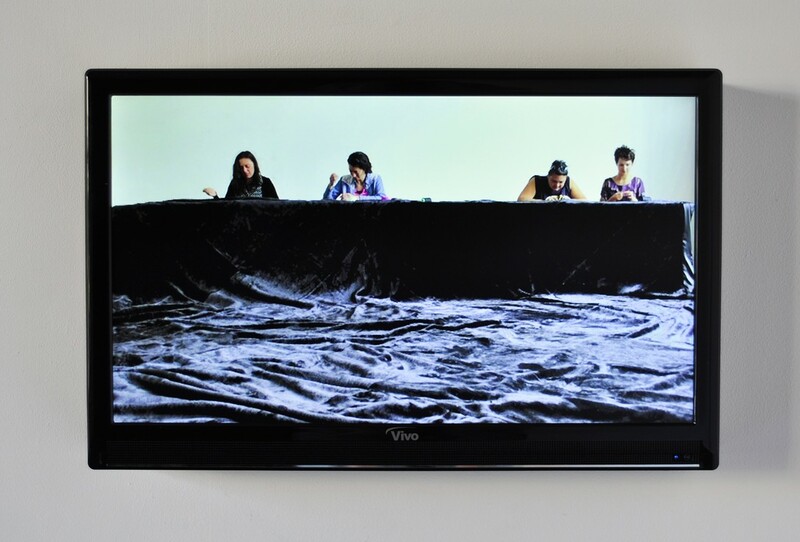 Mata Aho Collective,Te Whare Pora, 2013. Image courtesy of the artists. In 2017, Mata Aho Collective were selected to exhibit as part of the 100 day exhibition documenta 14 in Kassel, Germany and Athens, Greece. 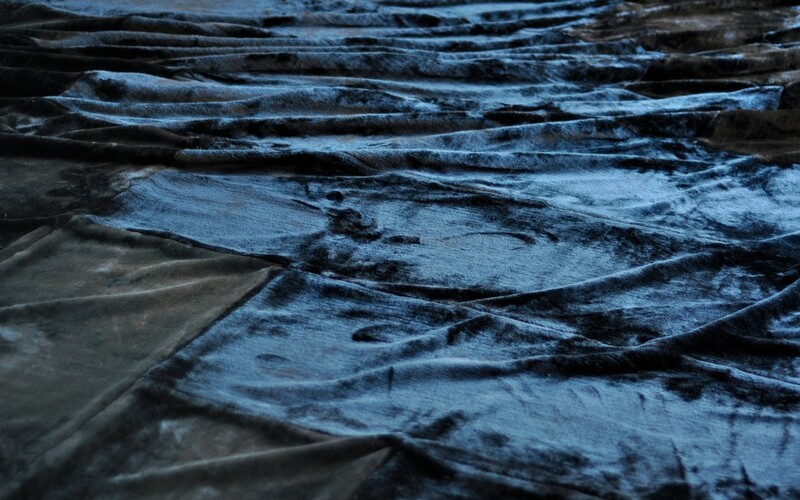 Their work, Kiko Moana, uses light-duty blue tarpaulin that is folded, stitched and slashed. 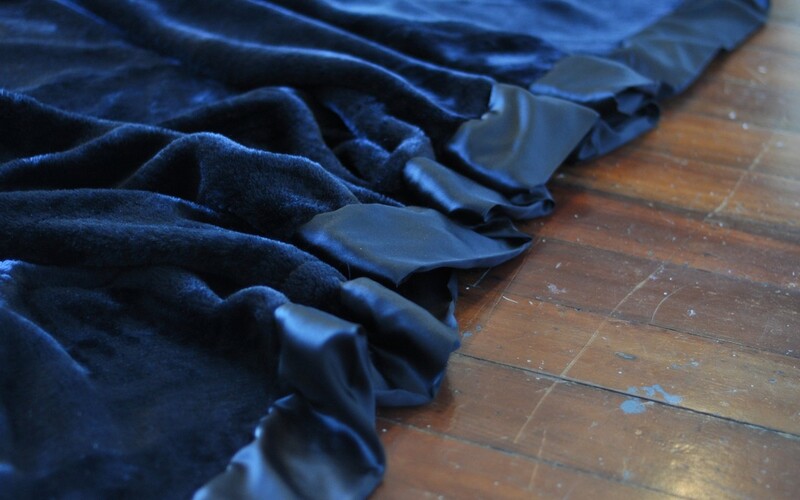 Employing accessible materials and customary Māori sewing tools and techniques, the collective has researched, the work explores how innovation becomes tradition. Central to Kiko Moana are the characteristics of the metaphysical beings known as taniwha. Mata Aho Collective are collecting diverse taniwha narratives to portray the multiplicity of indigenous voices and highlight taniwha attributes such as protection, assistance with travel and harbingers of potential danger. The work will be exhibited at the Hessian State Museum in Kassel, Hessisches Landesmuseum, which was reopened in November 2016 after a major redevelopment.